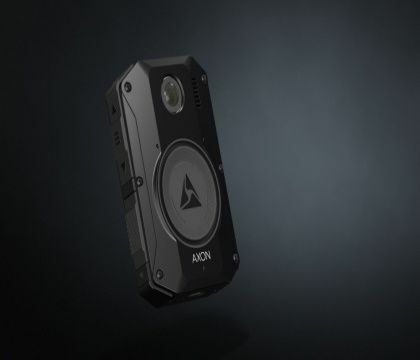 SCOTTSDALE, Ariz. — Axon (Nasdaq: AAXN), the global leader in connected law enforcement technologies, today announced that it will unveil a new TASER weapon and body camera at the 125th International Association of Chiefs of Police (IACP) Annual Conference in Orlando, Florida. The announcement will be made at Axon's 25th Anniversary Party, which will celebrate Axon's 25 year history of technology innovation in the public safety space. Axon CEO and founder Rick Smith will announce the new products to a sold-out audience of around 3,000 global law enforcement professionals on Saturday, October 6th at the House of Blues, Orlando, Fla.
"Since the launch of our first TASER device, public safety officers have saved more than 200,000 lives from death or serious injury using TASER conducted energy weapons in situations where lethal force could have been used instead," says Smith. "It has been a privilege to innovate in the public safety space for the last 25 years and we hope these new product launches demonstrate that we're still just getting started." Axon will showcase its new products at the IACP Axon booth, October 7-9. The Axon booth is officially sponsored by FirstNet, built with AT&T – the only nationwide public safety communications platform designed by first responders, for first responders. FirstNet provides a reliable and highly secure connection to the critical information first responders need. At the booth, conference-goers can get hands-on with the TASER weapon along with other new and existing product offerings on the Axon network. Visit Axon's booth number 1839. Verizon, the voice network used the most by public safety and a leading innovator in public safety communications, is the official sponsor of Axon's unveiling of the new TASER weapon and body camera products. Verizon operates the nation's largest and most reliable 4G LTE network. FirstNet and Verizon are both connecting Axon's wireless product offerings. To learn more about these product announcements, tune in to www.axon.com/IACP at 9:30 pm ET on Saturday, October 6. In the field - Our Smart Weapons offer a less-lethal intermediate use of force response, our body-worn and in-car cameras collect video evidence to capture the truth of an incident, and our mobile applications enable simplified evidence collection. At the station - Our secure, cloud-based digital evidence management solution allows officers and command staff to manage, review, share and process digital evidence using forensic, redaction, transcription and other tools. We work hard for those who put themselves in harm's way for all of us. To date, there are more than 300,000 software seats booked on the Axon network around the world and more than 205,000 lives and countless dollars have been saved with the Axon network of devices, apps, and people. Learn more at www.axon.com or by calling (800) 978-2737. AT&T is a trademark of AT&T Intellectual Property, Facebook is a trademark of Facebook, Inc., FirstNet is a trademark of the US Department of Commerce, Twitter is a trademark of Twitter, Inc., and Verizon is a trademark of Verizon Trademark Services. Axon, the Delta Logo, TASER, and Smart Weapons are trademarks of Axon Enterprise, Inc., some of which are registered in the US and other countries. For more information, visit www.axon.com/legal. All rights reserved.